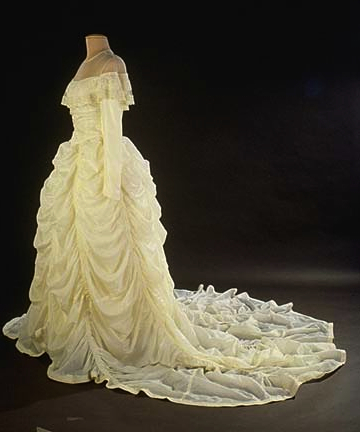 “This wedding dress was made from a nylon parachute that saved the groom’s life during World War II. 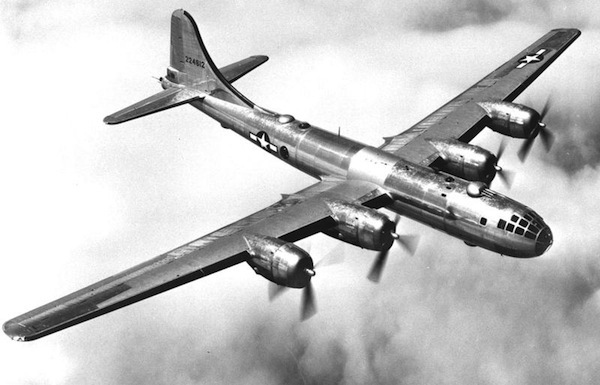 Maj. Claude Hensinger, a B-29 pilot, and his crew, were returning from a bombing raid over Yowata, Japan, in August 1944 when their engine caught fire. The crew was forced to bail out. It was night and Major Hensinger landed on some rocks and suffered some minor injuries. During the night he used the parachute both as a pillow and a blanket. In the morning the crew was able to reassemble and were taken in by some friendly Chinese. He kept the parachute and used it as a way to propose to Ruth in 1947. He presented it to her and suggested she make a gown out of it for their wedding. My mother’s wedding dress was made from her hubby to be’s parachute. He was in the ArmyAirborne. Neatest of all, her mom, my grandmother, made the dress! Not only is a touching story, the dress is beautiful! My Mam used to work as a machinist/sewer in a Munitions Factory during World War II. “ ” With all the pieces of history around me, I feel completely overwhelmed.